Gotham City Sirens #4 cover by Guillem March. The “Harley and other Female DC characters” movie Warner Bros. has been developing with Margot Robbie now has a name and two familiar faces: The name is Gotham City Sirens, which is now set to star Margot Robbie, who will return as Harley Quinn, along with Suicide Squad’s David Ayer as director. No other characters were teased, but they now specifically say that it’ll be a villain team-up movie,rather than the previously rumored Birds of Prey angle. Geneva Robertson-Dworet, who penned the script for Sherlock Holmes 3 and the upcoming Tomb Raider reboot, will write the screenplay. That clashes with reports that Christina Hudson was tapped to write the scriptwhen the Birds of Prey name was still attached, so it’s possible that’s developed into a different movie without Harley. It’s perhaps an unsurprising move considering Ayer’s involvement in the character’s debut in the DCEU, but fans who didn’t exactly love Suicide Squad might be a little disheartened to see his return. The THR report also says a Deadshot spinoff is being looked at too, but Gotham City Sirens was “furthest along,” and will now be fast tracked into production. 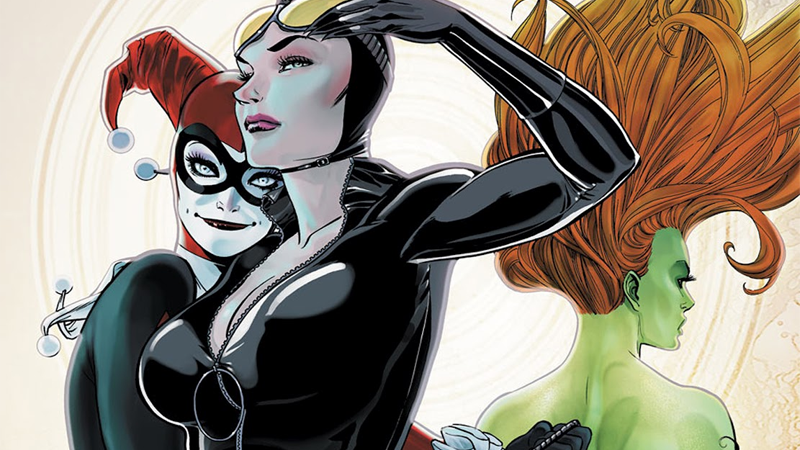 We’ll bring you more on Gotham City Sirens when we hear it.